Saul ‘Canelo’ Alvarez has been banned for six months after failing two drugs tests earlier this year. Alvarez’s ban has been backdated, so he will be free to fight from 17 August. 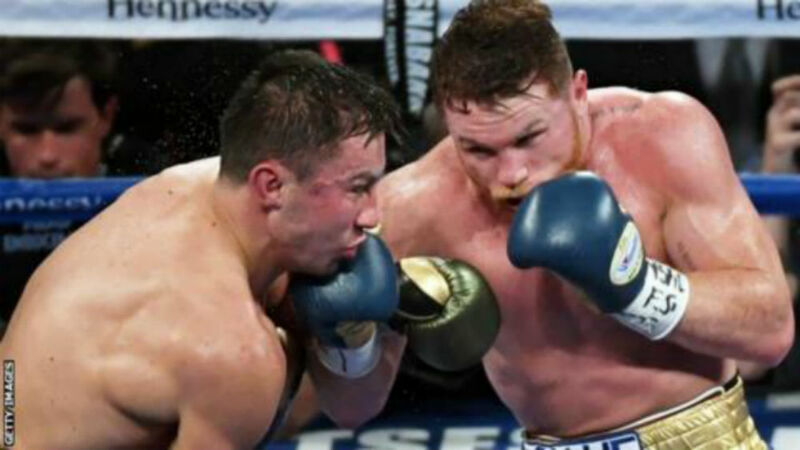 Golden Boy Promotions said Alvarez “looks forward to returning to the ring in September for Mexican Independence Day weekend”. The fighter, who did not attend the Nevada State Athletic Commission hearing in Las Vegas on Wednesday, said earlier this year he was “surprised and bothered” by the adverse test findings. Alvarez’s promoters said meat contamination had “impacted dozens of athletes in Mexico over the last years”.